Payments for Joomla is component to monetize all Joomla! With over than TWENTY FIVE developed plugins for Mosets Tree, com_content, K2, JomSocial, Kunena, Phoca Gallery, registration and Jevents, com_payments is biggest and most flexible solution for Joomla monetization. Mobio Mtree is Sms payment component for Mosets Tree that allow You to create unlimited type of sms payments. Mobio Sms payment for Mtree work absolutely automatically. 1. Install the component. Plugin is installed automatically with component. send SMS with text <strong>your sms service <?php echo $this->link_id ?></strong> at number... (and price). 3. 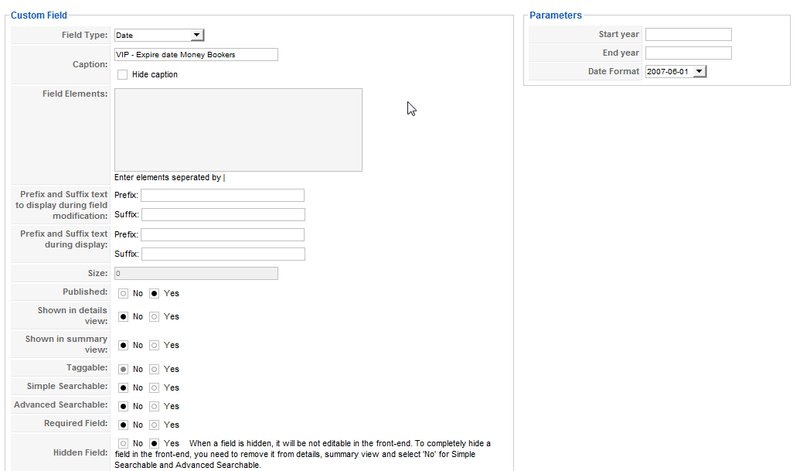 Enter in component settings and set to work with your account. 4. Sign in to Mtree Custom Fields and create a new field. From the attached screenshot shows what should be settings. - If you post a new payment before the expiry of period during which this ad is VIP, new 30 days will be automatically added to the period. - User does not lose anything, his money is added to the existing and all of this work automatically! After single configuration all of this work automatically, without administration! Do not even need to login in administration of your site, statuses of ads are monitored automatically. There activate the plugin and set the number of Custom Field box you just created and the number of days during which notice must remain VIP after someone pay for it. 6. Clear the cache of your Joomla. Done. Your Sms payment for Mtree now works. 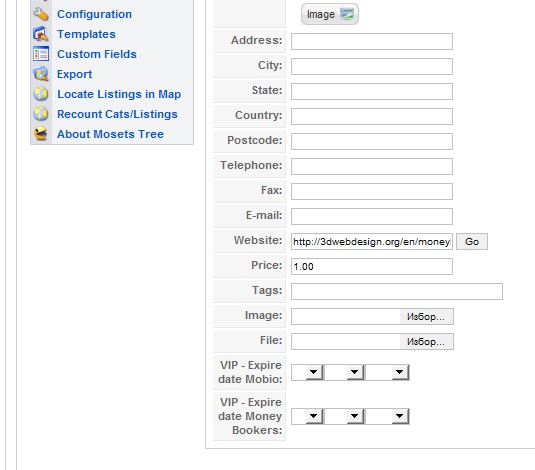 You can begin offering your users SMS payment for VIP status of listings in Mosets Tree. <div style="padding:5px">your description <strong>name of service <?php echo $this->link_id ?></strong> at number... your number... and your tax. 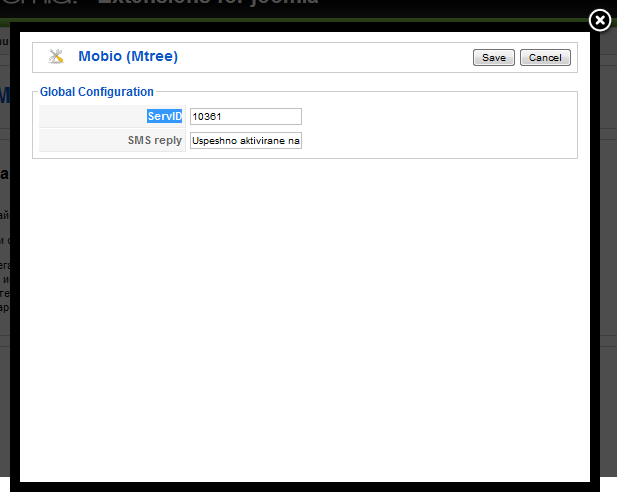 Newest version of Mobio Sms Payment for Mosets tree is released today, support Joomla 1.7 and Joomla 1.6! Component is tested with Mosets tree v.2.2.3. 1. New function to send email of user - author of listing. Function work when listing status will be changed from "vip ad" to standart ad. The function works as follows: As soon as notice of VIP ad status reverts to the standard offer, email is sent to the consumer who has placed listing with text that reminds him: "VIP status of your ad is expired, please, send new sms..." and inviting him to run sms again. Are updated both versions - sms payment for Joomla 1.7/1.6 and for Joomla 1.5. So, if you use sms payment, sms text must be "yourkeyword userid"!